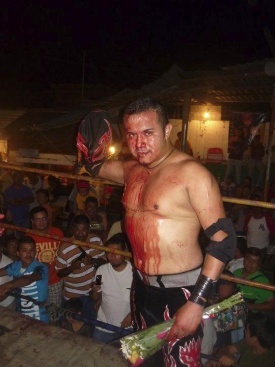 Monterrey based wrestler, formerly known as Príncipe Guerrero II out of Arena El Jaguar. Since none of originals Caifán Rockero II or Caifán Rockero III are active wrestlers, he took the gimmick in 2014 and with Caifán Rockero I/Caifán I formed a new version of Los Caifanes Rockeros. Príncipe Guerrero II chronologically is the Caifán Rockero IV, but is announced in Monterrey as the Caifán Rockero III (second version after the original) and sometimes also announced as Nuevo Caifán II (due to actually only two Caifanes are wrestling).